If a political candidate is personally flawed, but stands to make a positive difference in millions of lives, would you help him win? 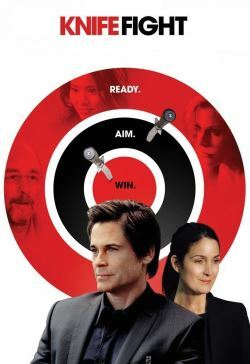 That question looms over the life of "true believer" Paul Turner (Rob Lowe), a savvy strategist sharply maneuvering politicians out of scandal and into public office. With the help of a bright young assistant (Jamie Chung) and a seedy operative (Richard Schiff), Turner spins every news cycle and a shrewd reporter (Julie Bowen) on behalf of his clients: a philandering Kentucky governor (Eric McCormick), a blackmailed California senator (David Harbour), and an idealistic doctor turned gubernatorial candidate (Carrie-Anne Moss). When the ugly side of Turner's work begins to haunt him, he learns that even in the bloodiest of battles, sometimes you have to fight clean.